The Best Artisanal Dairy-Free Cheese I’ve ever tasted is from the company Treeline Nut Cheese. They make French-style soft cheese and aged hard cheese so divine, they may rival the best of France and Italy! 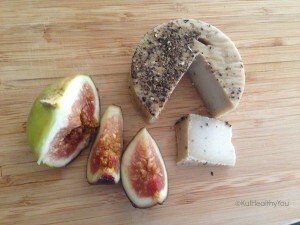 If you are a lover of fine cheese, you’d love their products! Cashew nuts, filtered water, L. Acidophilus, sea salt, cracked black pepper corns. Lactose-free, soy-free, delicious and tangy, high in probiotics and ZERO cholesterol. What else could you want? Oh yeah, did I say they go perfectly paired with wine? In my health coaching practice, I see more and more people are discovering that they have sensitivity to dairy. This has especially been the case among participants in my detox programs, which are designed to optimize our digestive system by eliminating a few things from the diet, including dairy, for 7 days. We are then adding back one food at a time and clients are noticing what food makes them feel…well not so good. Majority are feeling better when not consuming dairy, and this is of no surprise as lactose intolerance spurs a myriad of digestive symptoms, including stomach pain, cramps, bloating, nausea and other not so pleasant symptoms. Thankfully with products like these it is easy to make healthy swaps. If you want to give Treeline Cheese a try, you can buy it at online retailers or at most Whole Foods Markets throughout NYC.